An old classic was given a new life this last year when Universal Pictures released The Grinch Movie. The Grinch movie tells the story of a cynical grump who goes on a mission to steal Christmas, only to have his heart changed by a young girl’s generous holiday spirit. We’ve got The Grinch Movie to give away to one of our readers along with the best Grinch quotes and more! *Review and Giveaway has been created in partnership with Team Click, but all opinions are my own. Start the new year with a laugh when Universal Pictures Home Entertainment’s Dr. Seuss’ The Grinch movie becomes available on Digital January 22nd and on 4K Ultra HD, 3D Blu-ray, Blu-ray, and DVD February 5th. Included are three hilarious new mini-movies featuring the Minions and Max! You do not want to miss out on these! The Grinch movie is, of course, the story we all know and love but in a new version. There is a twist to the storyline and it features so many lines that will make the entire family laugh. Plus get a look into just why the Grinch hates Christmas so much. 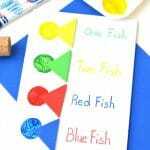 We love Dr. Seuss around here and we have tons of fun Seuss ideas including Dr. Suess printables and fonts, Thing 1 and Thing 2 puppets craft, one fish two fish craft and more! Want access to them all? 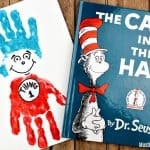 Just sign up for my Dr. Seuss printables and I’ll send you a link to my free Dr. Seuss resource library full of free printables and activities. Dr. Seuss has some of my very favorite quotes. We compiled some of our favorite grinch quotes from the movie so you can use them and get a laugh out of them! Grinch: Today we will do mean things, and we will do them in style! Grinch: I specifically bought enough food to last me until January. How much emotional eating have I been doing? Mr. Bricklebaum: I don’t know what’s in this cake but I think I just saw Santa Claus. I’ma get me another slice! Donna Who: Buster, we’ve talked about this, your brother’s head is not breakfast. Grinch: [to Bricklebaum] Sorry, can’t hear you. I don’t speak ‘Ridiculous’. Aren’t those the best?! Find more funny Grinch quotes in The Grinch movie by ordering it now! Do you have a family member who loves The Grinch? Let them show their love all year long with one of these fun Grinch dress up costumes. 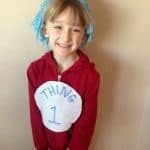 These Grinch costume ideas are perfect for I love to read month, Halloween, Christmas and more!! 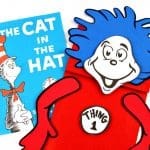 We also have some fun homemade Dr. Seuss costumes here! Check out these never before seen clips! The Grinch features an all-star cast! Benedict Cumberbatch is the voice of the Grinch. With Cameron Seely as Cindy-Lou Who, Rashida Jones as Donna Who, Pharrell Williams voices the Narrator and none other than Angela Lansbury voices Mayor McGerkle. The Grinch Movie features music by Danny Elfman with new songs by Tyler, The Creator. Buy The Grinch Movie Now! « 2018 Mazda6 Signature Review: A Lot Of Bang For Your Buck! We love the grinch in our house! Made my boy a handmade grinch costume this year for Christmas. We love how funny he is! “Tell me in the comments why you love The Grinch!” I love the Grinch because Dr. Seuss created wacky, memorable characters! I love the Grinch because it was a good movie with a great message. Also with has some fun characters. Because I think that it shows that even those who seem the most cold hearted could have the potential to love the most! It’s a cute, shows never judge a book by its cover. Sends a good message. Because it has a cute message! Its a classic and heart warming story! We loved the new Grinch movie. Especially great message about the power of friendship. I like that he has a change of heart. I like the Grinch because of his naughty nature and it kind of reminds me of my kiddos as toddlers. LOL! I like the Grinch because everybody loves to hate him! I love the Grinch because it is a great story that really shows that people can change for the better if you give them the chance. It’s a cute classic movie! I love the Grinch because I really just feel for the guy. Everyone is always complaining about him & saying not so nice things about it. Can you blame him for wanting to live in the mountains and avoid humans altogether? I love him because he’s cute, funny and the movie has a great ending. I love watching the Grinch because it is a fun show for my kids and I to watch together. I love The Grinch because it’s a classic and the characters are great! I like all the characters in the Grinch movie! I love the grinch because underneath all the anger there is still a good person with a good heart. My kids beg to watch the Grinch as soon as the Fall weather hits – a family holiday FAVORITE! They now have Grinch stuffies also. i always loved the book!! I love the Grinch because it would not be the Holidays without him! It’s always the must have Christmas movie! He’s a hater but he was won over so I like him for that. Let go and free. I love the Grinch because I feel it shows the real meaning of Christmas plus it’s funny. I love the Grinch because he is so deliciously grumpy and sweet…you just know he has a soft heart and needs a little TLC! It’s a lovely, clean story. I like the Grinch in the way he makes facial expressions. I love the lesson in it. Everytime we watch a Grinch movie I talk to my son about the moral of the story. I think he gets it!